If you have a rarer repair situation, we will price out the cost of ordering the replacement stove parts by mail instead and then await for your approval to proceed. 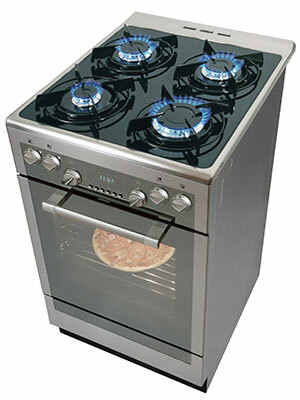 Once you get billed for your range repair in Evanston IL by one of our stove repair experts, your total charge for replacement stove parts will be the exact amount spend for the stove parts in Evanston IL. By coming to us to handle your need for stove repair in Evanston IL, you can slash another $10 off through our 'first-time repair' coupon. If you don't like the repair quote, you can always hold off and just compensate our Evanston IL repairman for his diagnosis instead. If a single element is not producing heat it is often the result of that element or it's terminal or receptacle burning out. However, sometimes the infinite or the fixed-temperature selector switch becomes defective and stops the burner from turning on. You can look at the element and its connecting parts and use a multimeter to make sure each has continuity. Before doing so, make sure to shut off the breaker or take the fuse out to prevent any safety risks. If you are not comfortable working with electricity, call an appliance repair pro to diagnose your burner problem!